Investing for the future can seem like an overwhelming endeavor — until you right-size the challenge in order to get a financial life in retirement. 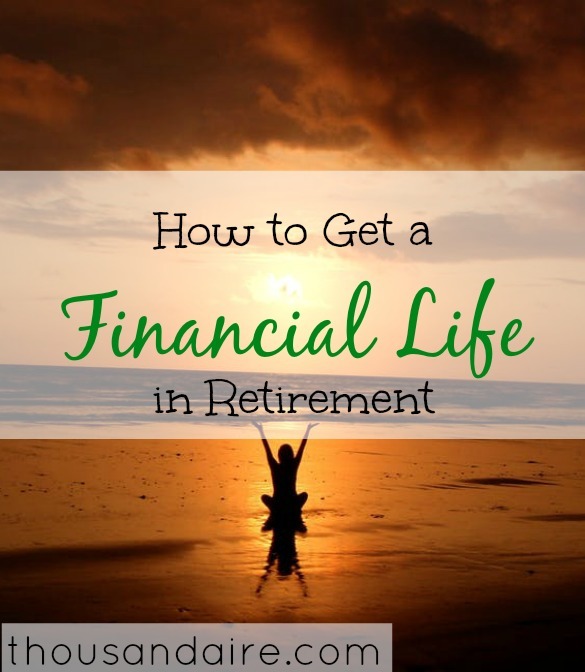 Don’t put off retirement planning! The sooner you start saving for retirement, the more time your investments can compound in value. Make time your best friend and your retirement savings will grow. Discipline yourself to stop buying things you don’t need. Close your credit card accounts and switch to debit cards. Pay off the remaining balances as quickly as you can. Then pay down any other debts — except, perhaps for an auto loan or mortgage. The less you have to pay interest on loans the more you free up funds to put into your retirement savings. Hopefully, your employer offers a retirement plan — make sure you’re participating to the maximum extent possible. If your company offers a match for your contributions, find out how long you have to stay at the company in order to become fully vested — and then don’t leave until you’re fully vested. Discipline yourself to commit to budgeting. Create both an annual and a monthly budget. At the end of each month, evaluate your progress and revise the monthly budget accordingly. Track your spending as you go and continuously look for ways you can spend less and set aside more for savings. Try to set aside money for emergencies so that you don’t have to dip into your retirement account or borrow in order to cover any surprise expenditures. This will save you from having to pay penalties or interest on any borrowing. The tips mentioned here are just the beginning — there are always more ways to increase your savings. Make a hobby out of learning how to set aside more money for the future, and commit to implementing what you learn. Readers, what are your retirement goals?